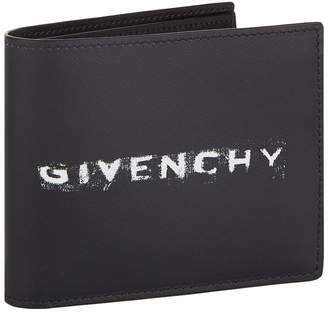 Overview Important items should have a first-class home, and this Givenchy wallet serves as a smart and sleek addition to your accessories collection. Fashioned from rich, smooth leather, the compact bifold opens up to reveal multiple card slots, keeping your essentials safe, secure and cushioned in the premium material. H9.5cm x W11cm x D5cm approx.